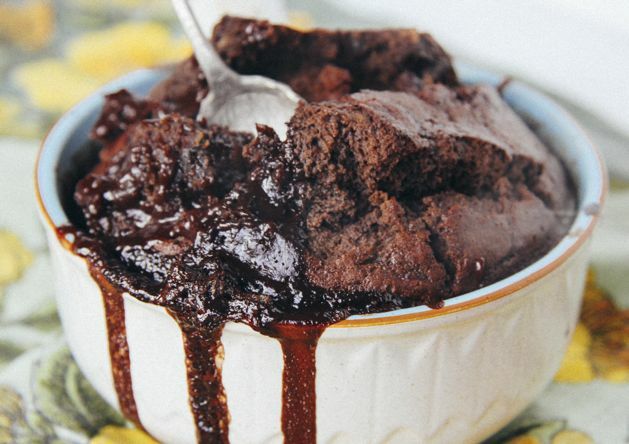 Sugar free, Gluten and Grain Free Self Saucing Chocolate Pudding! When we asked our friend Alice from The Whole Daily to share a recipe with us… we never thought we’d get this delightful looking thing. YEP. 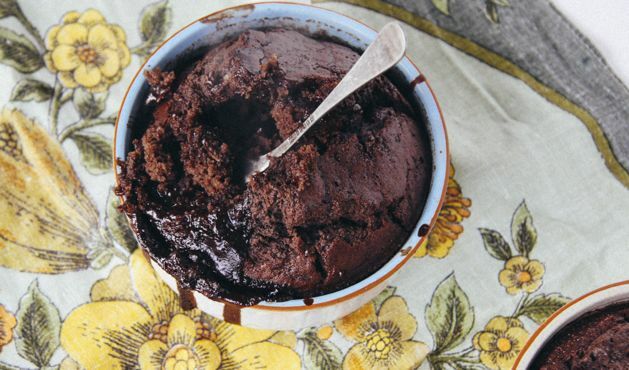 It’s Sugar free, Gluten and Grain Free Self Saucing Chocolate Pudding! Are we in chocolate heaven? Yes. And now it is time for pudding. P.s if you want MORE healthy sweet treat recipes… get your hands on our book! Preheat your oven to 180°C (350°F) and boil your kettle. Mix together all the pudding ingredients until combined into a batter. Pour into a 20cm (8 inches) baking dish or 4 small ramekin dishes. Now for the chocolate sauce. Mix together all the ingredients in a bowl until smooth. Carefully pour the chocolate sauce over the back of a spoon or spatula into the baking dish over the batter. The chocolate sauce will float on top and as the pudding cooks it sinks to the bottom of the baking dish! You don’t want to be too rough and break the mix up too much as it may end up with a sloppy texture – so just go slow. Place in the oven for 20-30 mins depending on your dish size until the center of the pudding is firm. It’s worth laying a tray under the oven rack the baking dish is on to catch any sauce that may bubble over the side.